Customers Family Resort Maria (house and apartments) can use a year-round wellness center with sauna and indoor heated swimming pool with counter current and whirlpool. 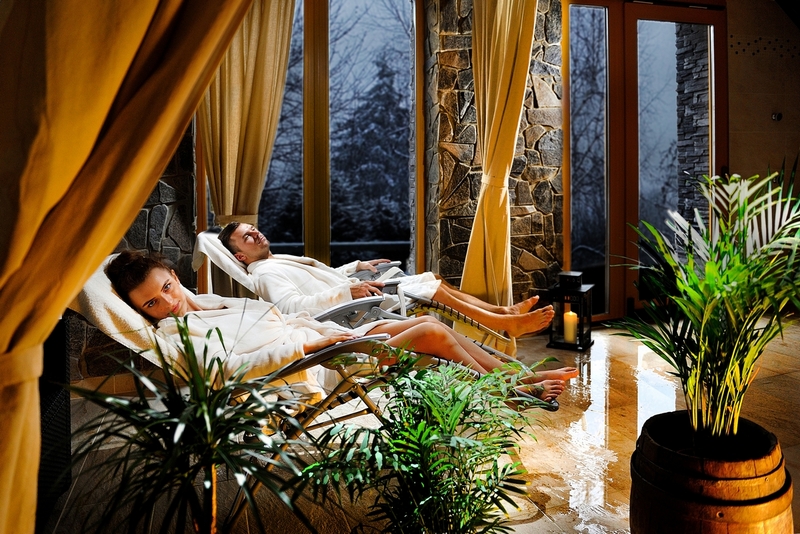 Places you should always book because we want to provide customers with the privacy and cozy private sauna. We have a capacity limited to 10 people (for groups upon agreement). You can also use massage at the wellness center. We are introducing a new indoor heated swimming pool in temperature 30°C with counter current and whirlpool sized 6x3,5m. In the summer is not missing the opportunity to access directly from the garden. We offer you a new sauna. Take advantage of the hot Finnish sauna or relax in the steam sauna, or to experience showers and cool yourself under the ice bucket. In summer turns sauna on request 18:00-22:00. Take advantage of our permanent masseur (in the winter and summer) and enjoy a massage at the wellness center or in-room or in the apartment resort family house Maria. Full body massage - 60 minutes. Partial massage (back, arms, legs) - 30 min. Or take advantage of exclusive massages on request. Convenient packages with the lowest price Here .